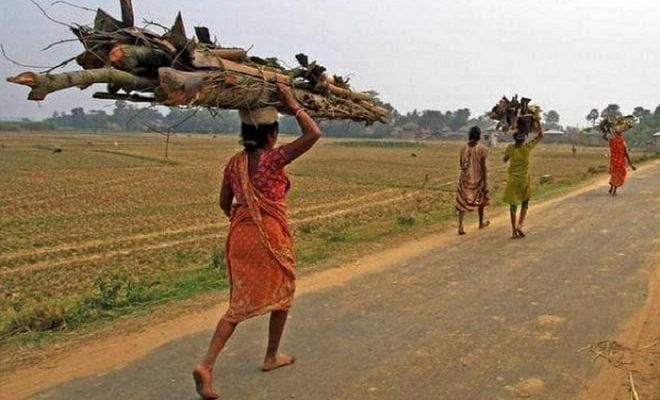 Two months after the West Bengal government denied any food scarcity as a possible cause of death of seven persons from a tribal community, a survey report has identified “food scarcity in varying degrees” in about 31% of tribal households in West Bengal. The study titled ‘An Inquiry into the world of the Adivasis of West Bengal’, conducted by Professor Amartya Sen’s Pratichi Institute and Asiatic Society, will be released in Kolkata on Monday. The survey was conducted in 1,000 tribal households to ascertain living conditions, health and education. West Bengal is home to over five million tribals, with 6% of the India’s tribal population of 100 million. But in many areas, tribals of the State are “far behind” in terms of human development. One area, which has been a matter of contention in recent months after the death of seven tribals in a span of 15 days in November, is scarcity of food. The preliminary survey report claimed that “nearly one third [31%] of the surveyed households” reportedly faced “food scarcity in varying degrees” in the past year. “…While some households faced acute hunger only in some months (August–October), in many cases, people had half-meals only twice a day. Also, in some cases, adult members reportedly ate only once a day. Also, in some cases, adult members [of households] reportedly ate only once a day,” the report noted. Most of the families surveyed could hardly afford animal protein or pulses. In addition “poverty-born vices like alcoholism [and] the fragility of the public health system…seemed to have resulted in a much lower life chances among the Adivasis than their more privileged co-citizens,” the report noted. Degradation of forest and environmental degradation are cited as two more reasons for “reduced availability of natural nutrients” resulting in early deaths. The report indicated that the number of deaths reported to have occurred in the surveyed households, in the year preceding the survey, “was 52, among which 48 [92%] were premature deaths” and only four were due to old age. “The average age of the [tribal] persons who died was 58 years, which is much shorter than the life expectancy at birth” (70 years in West Bengal). The survey, a synopsis of which has been accessed by The Hindu, is conducted in 10 districts of the State, of which three were formerly undivided. The work participation rate [WPR] is higher among the Adivasis in Bengal “forcing the children of schoolgoing age to discontinue their studies in order to fend [for] themselves and support the families,” the report noted. According to the Census of 2011, while WPR is 39% and 49% in Bengal and India, respectively, “the corresponding figures for Adivasis were 49% and 47%,” indicating the participation of more children. “Our survey found that both the children and elderly people were also involved in earning, and that the rate of transition in education was low…” the report noted. However, a higher rate of work participation has not contributed to a better living standard, indicated the survey, which followed a “mixed-method approach” combining quantitative and qualitative data. In the area of health and education, too, tribal communities are far behind the rest of State’s population. Moreover, 44% of households do not have access to toilets and nearly two-thirds of the households had no drainage system, the report noted.